Posted March 20, 2016 by Monsieur K.
Once the fire starts it’s nothing but trouble. You can spell trouble D-E-A-T-H! It really does take a Fireman to put out a fire. It also takes a nurse, one with true compassion, not faked; the children see right through faked compassion, to ease them when they’re sick. Harper Grayson was a nurse and she worked at a school. Worked, as in once did, while the schools were still open. Then she worked at a hospital where she could do some good, not in the way most nurses do some good but, spit spot, on the double, a diagnosis of the situation. Keeps the Fireman safe, or is it safety first for the burning pain of an appendix inside inflammation but it hasn’t burst yet. When the burning starts, it’s a good thing to have someone owe you a favour, someone who understands what a fire hose is for. Then, in a hospital in New Hampshire, there was a Black person named Renee Gilmonton, one of the patients accustomed to be stared at, cause how many children growing up in New Hampshire saw anyone of colour? And if you run toward somebody bursting into flames, well, that was just crazy, no? But Renee was like coal anyway and fire wasn’t going to make her any darker, was it? Renee had a book store before the dragon scale sparkled her neck, never made much money but they had hellava poetry slams there every week. She loved books and, with her, brought the book called The Bridge of San Luis Rey. Harper asked her why she brought such a short book about a tragedy just waiting to happen and Renee might have said, “Well you’re not going to want to start to read The Stand, the long version, when you might never get a chance to finish it. And we’re all on The Bridge right now anyway.” But that’s not precisely what she said, is it? And while we’re talking about Renee, Black as coal, we could talk about the video of her, when she was reading to one of the children the child felt her get really warm and jumped away as Renee started to glow, grabbed her mint plant she came in with and started running for the exit. The video shows the whole thing while she was running out of the hospital, glowing, glowing, with eyes like death rays but the video didn’t show anything after she left the hospital and I’m not going to tell you what they found. Harper’s not working at the hospital anymore and that doesn’t mean she’s one of the lucky ones but she could be; you can’t work at a place that blazed away, can you? Joe Hill wrote this book, called The Fireman; that’s what I’m really talking about and when Joe writes his words take flight like musical notes with wings. It doesn’t matter if the edges of the wings are singed by flame, those words fly and they have a song of their own. He’s special, that guy Joe Hillstrom King; that was his name once, and on his birth certificate that’s still his name. But he was a caterpillar then and he spun a cocoon and when the cocoon split open he was a bird that spoke words as beautiful as butterfly wings. Sometimes the words caught fire and that’s when the lucky reader; I say lucky reader because if you are reading one of his books or stories, you are a lucky reader alive in another world; the world that Joe Hill built—or burned, whichever you like, or maybe don’t like, but you’ll love it. 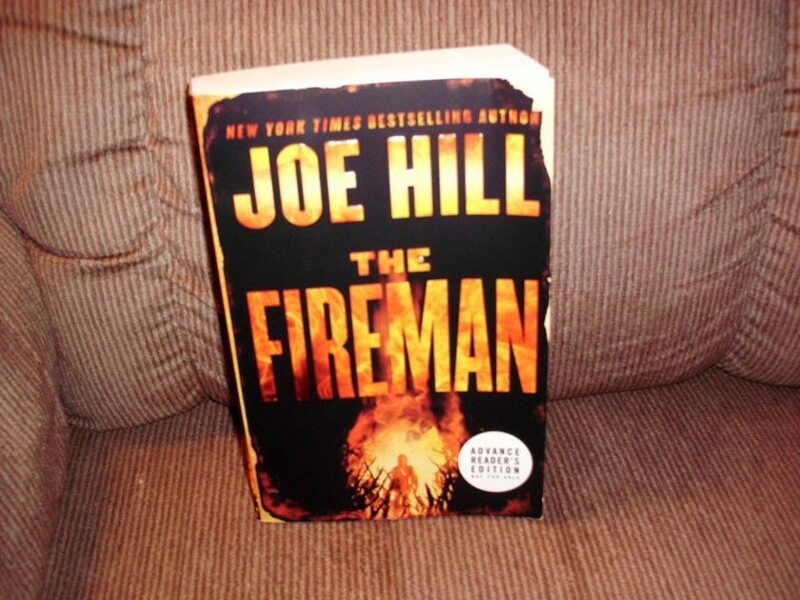 This book, The Fireman is Joe’s longest book yet and that’s actually a good thing because it’s one of those books you never want to end. If you are a true reader, you know exactly what I mean. Now Harper Grayson, in the shower, suddenly sees the Dragonscale on her body. Who wouldn’t forget to turn the shower off at a time like this? Her husband, Jakob, looks at her body and only thinks about himself. But didn’t he call her babygirl all the time? Ahh, relationships! All that time in the hospital working, working, working, covered in Tyvek to keep out the Dragonscale, running for your life as the hospital burns, but now, pregnant and with the shower water running, her husband burns her with cold eyes. There are many people who opt out; that means suicide; that’s the nice way of saying it. Joe Hill can say it many ways; his words dance on the page and your eyes are kissed by the Dragonscale. By the way, have you examined your body yet? Oh, but this is only a book; it’s not real. That’s the skill, the gift that Joe Hill has. He makes it real. 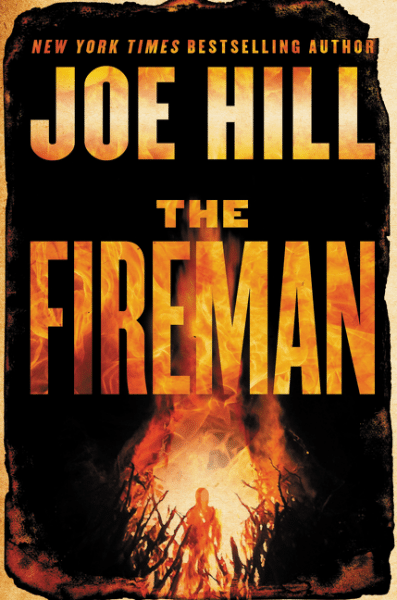 When you read The Fireman you will develop a relationship with Joe Hill that won’t exactly make you all warm and fuzzy, but you may burst into flame. It’s not always easy to find a Fireman when you need one. Sometimes, in your relationships, things get strange. Like when Jakob finds out about Harper’s Dragonscale and begins to think. That’s when Harper finds out what kind of relationship she has always had with Jakob; things are not what they seem to be. Then there are the Quarantine Patrol. There are always people who have dreamt of becoming dragon-slayers—and now they have their chance. But who are the real dragons; the people with the guns or the people with Dragonscale? And where is The Fireman when you need him? Quite possibly in the back of the house, one would guess. And then there is Renee, running from the hospital but leaving not a trace. A crazed husband with a flapping bleeding cheek and a gun firing every which way but gun control is being able to hit your target. That’s not quite what is meant when people talk about gun control, is it? Did you ever have a friend that turns up just when you need him? Well, The Fireman is like that; always rising just like the Phoenix. Sometimes you need a firebird to get you away from an abusive husband; any battered wife would tell you that’s true. The book by the name of The Fireman keeps language aflame. There are a number of places to buy this wonderful book when it comes out and if you are lucky, you might get one signed by Joe Hill. Is this his best book yet? His dad, Stephen King, must be very proud. Joe’s dad is Shining! Joe Hill has given birth to a child that loves the flames. And there’s more books to come. There was a game that they played at the King house where all the writers grew up together. There was a book on the table that had an ongoing story and the goal of every member of the family was to leave a cliffhanger that was extremely challenging for the next person to enter the kitchen. That may very well be where The Fireman came from. Ask Joe the next time he does a book reading and signing. You might be lucky and hear the truth. It’s in each of his books.